Today I got Leslie Knope’s Pawnee. The Greatest Town in America in my mailbox. I’m literally quite excited about this purchase! Pawnee will complement a photo book (Lima, Peru) containing more than one hundred pictures of my hometown as part of the decoration of my coffee table. Since Lima. 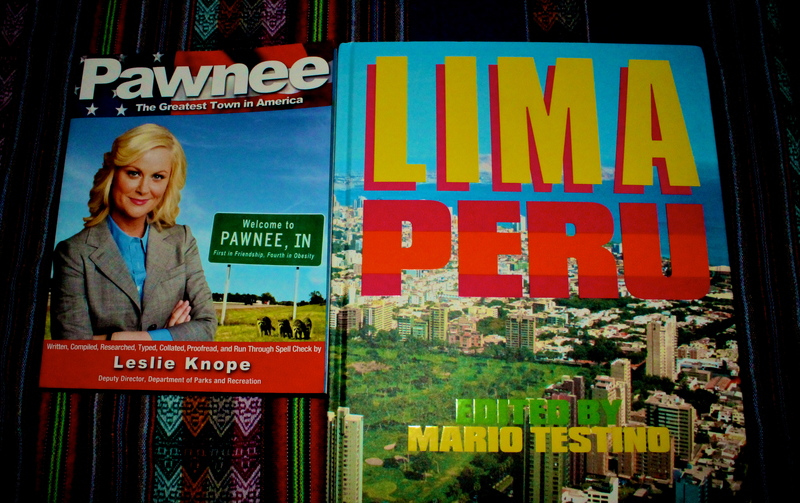 Peru was edited by the most famous Peruvian photographer in the world -Mario Testino (yes, the guy who portrayed Kate Moss and the British royal family)-, both Lima and Pawnee represent two jewels that I’m proud to own!